It supports the new base unit PNOZ m B1 from the control system PNOZmulti 2. PNOZ m B1 has a lot to offer: for the first time, there are no inputs and outputs on the base unit. The system is adapted to the application by selecting expansion modules. As a user, you only pay for what you actually need. 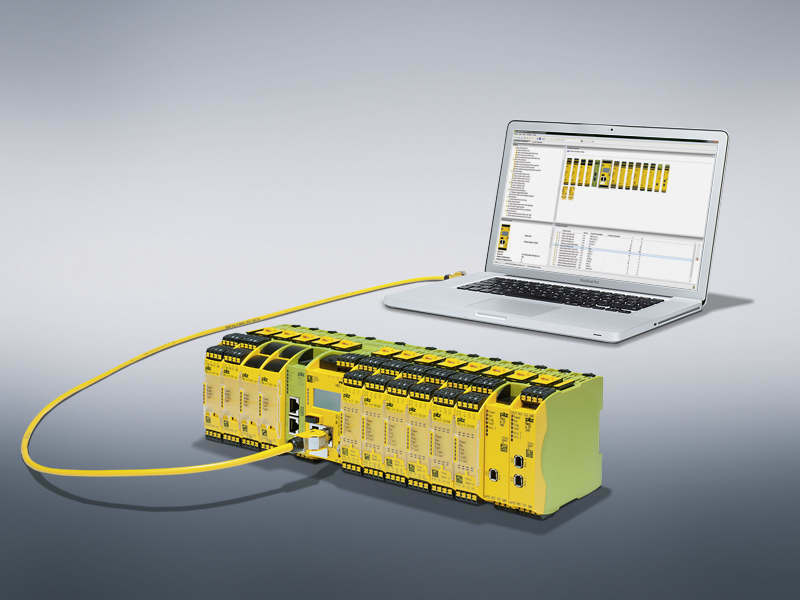 Much larger projects are possible with PNOZ m B1, with up to 1024 connection lines. It is also now possible to set the data and time for PNOZ m B1 in the PNOZmulti Configurator. You can download the demo software from our download area (for registered users). Purchasing a licence converts the demo software to a full version. Please note: a new software licence is required from each new version, any existing licence will no longer be valid.